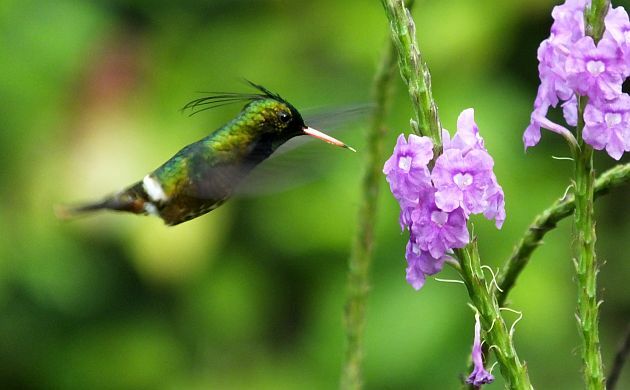 Costa Rica is a fantastic place to watch hummingbirds. Imagine forty plus resident species of this esteemed family zipping around a place the size of a small state, many of which enjoy feeder juice, and you probably get the picture. 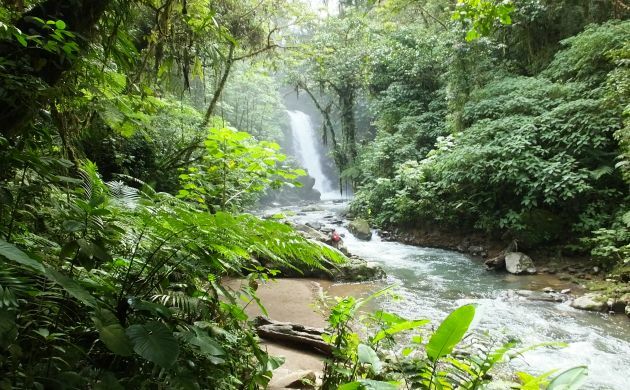 As with other birds, different hummingbirds in Costa Rica use different habitats, some use different types of flowers, and one even likes to flycatch from boulders in the middle of rushing streams (that one would be the Green-fronted Lancebill). Although feeders are easy, not all species visit them, and natural feeders can be better. One of the best feeders au-natural is the Verbena bush. Also known as Porterweed (and Stachytarpheta by those with a botanical bent), this bush with the small flowers is like major candy for many species, especially the small, exquisite ones. Speaking of those mini gems, a coveted trio of them were some of my very first bird species for 2018. 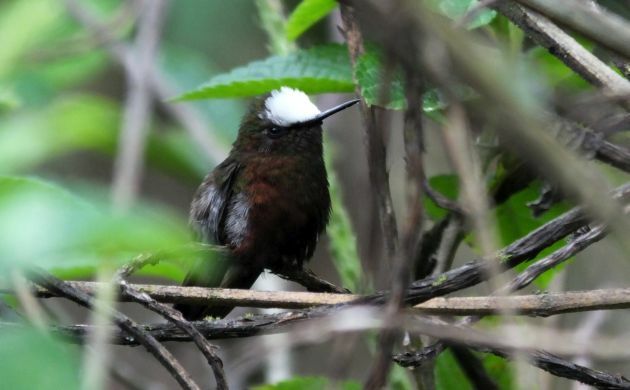 Those three birds are the Green Thorntail, Snowcap, and Black-crested Coquette; all are frequent target species for visiting birders, and all use similar habitats. 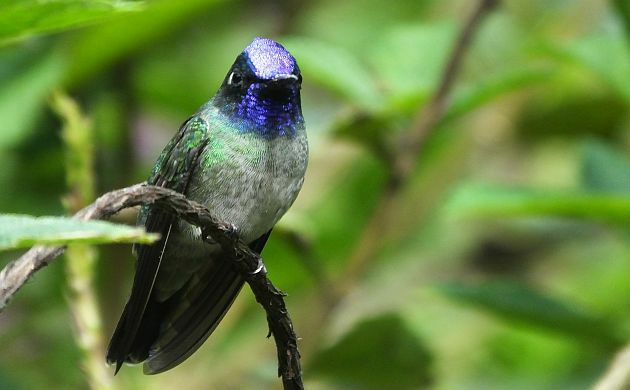 Tours that visit Rancho Naturalista usually see these beautiful little birds at the Verbena bushes around the lodge. Since I live much closer to El Tapir and guide at this foothill site from time to time, I tend to see them at this site before I make my annual visit or two to Rancho. Although I usually have to wait for thirty minutes or an hour or so before the thorntails and Snowcaps get moving, they must have been pretty hungry this First of January because they started feeding at dawn. One of the very first birds we focused on was actually one that often shows much later in the day, a male Black-crested Coquette! One of the more fancy of Costa Rican hummingbirds. Close views are welcome because these hummingbirds are so tiny, it can be kind of hard to accept that they are actually birds. 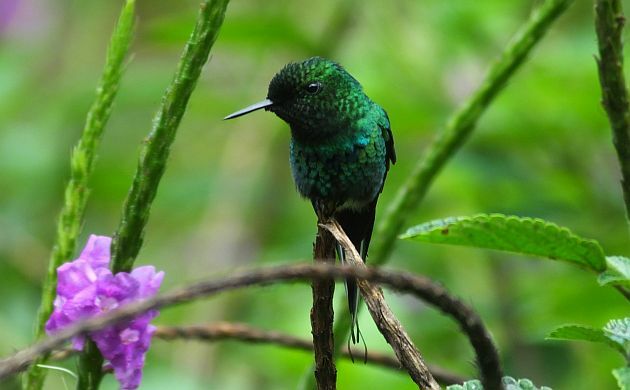 As we watched them being chased by the ever common Rufous-tailed Hummingbirds, we were also treated to lovely looks at another small gem, the Violet-headed Hummingbird. 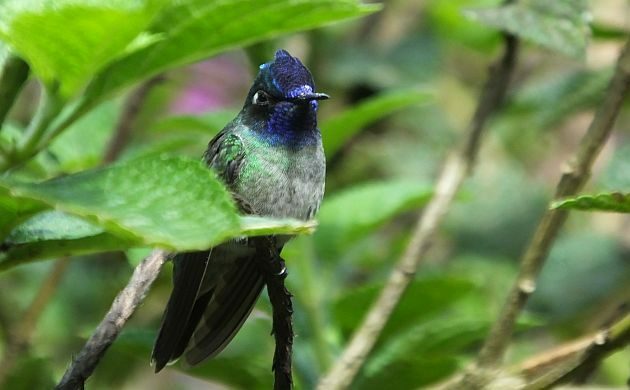 As with so many other members of the Trochilidae, the Violet-headed sports some nice, shiny colors. The rest of the day was replete with everything from sneaky antbirds to fancy trogons and a few Great Green Macaws in flight; a fine start for another year of birding in Costa Rica. Beautiful photos and so much nicer seeing them in a natural setting. A fine start, I would say, indeed! Your photos on this post are without exception exquisite! I’ve never seen the thorntail’s tail so well captured. Rock on, and share on! Troglodytidae are wrens (usually no shiny colors), Trochilidae are hummingbirds.